The European Commission said on Wednesday that Romania has not adopted no decision as reaction to the recommendation of the EU Council in June and, consequently, has proposed to the EU Council to adopt a review on the recommendation so that Romania corrects the significant deviation from the adjustment direction towards the Medium Term Objective (MTO), a EC release informs, quoted by ziare.com. In June 2018, the EU Council adopted a recommendation to Romania for an annual structural adjustment of 0.8% of GDP, both in 2018 and in 2019, according to RomaniaJournal.ro. 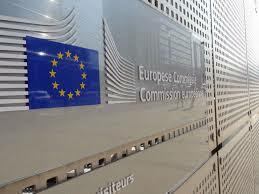 Considering the development since then and following the lack of decisions in Romania to correct the significant deviation, the Commission proposes a reviewed recommendation on the annual structural adjustment of at least 1% of GDP, the European Commission says. The Commission underlines that Romania’s public deficit has grown from 0.5% of GDP in 2015 to 2.9% of GDP in 2016 and is expected to reach 3.3% of GDP in 2018, then 3.4% of GDP in 2019 and 4.7% of GDP in 2020, the highest deficit in the EU. The European Commission requests the EU Council (Romania is to take over the EU Council presidency as of January 1, 2019) to adopt the specific country recommendations and the Member States to implement them in full and in due time. The EU ministers would discuss the specific country recommendations before the heads of state and governments support them. It is up to the Member States to implement the recommendations through economic and budgetary policies during 2018-2019.